Get Me Into Medical School are delighted to announce the publication of the next entry in our popular book series: The Medical Schools Guide. Covering all 34 UK medical schools in detail and featuring insider information from current medical students the book is aimed at those choosing a medical school. 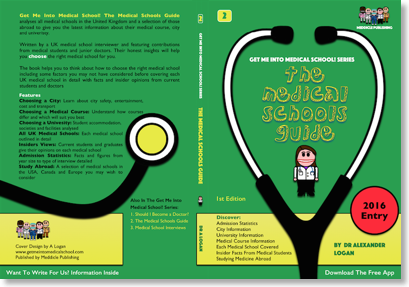 The Medical Schools Guide is now available at all good bookstores and amazon.